Time stands still in the dusty warrens of the Sutton Clock Shop, up an ancient flight of stairs at 139 East 61st Street. Of course it does. 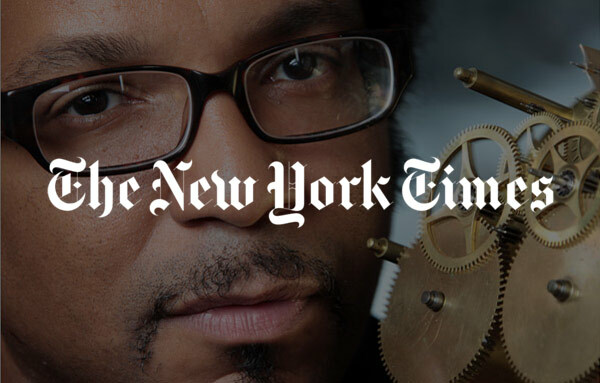 Many of the clocks are broken — that’s why they’re here, awaiting the healing hands of Sebastian Laws, 43, a clock-and-barometer fixer since the 1980s. He apprenticed at the workbench of his father, Knud Christiansen, now 94, a member of the Danish rowing team in the 1936 Olympics who defied the Nazis to rescue Jews in wartime Copenhagen before coming to America, opening a clock shop, remarrying (a Panamanian woman, Sonia Laws) and bequeathing his business to their now-newlywed son. But wait — this is Sebastian’s story.